!! OMG, happening now: The #GoogleWalkOut !! Google employees have had it! There is a lot of anger over the company’s handling of recent sexual harassment allegations, their participation in a Pentagon drone imaging program, and their work creating a censored search engine for China. 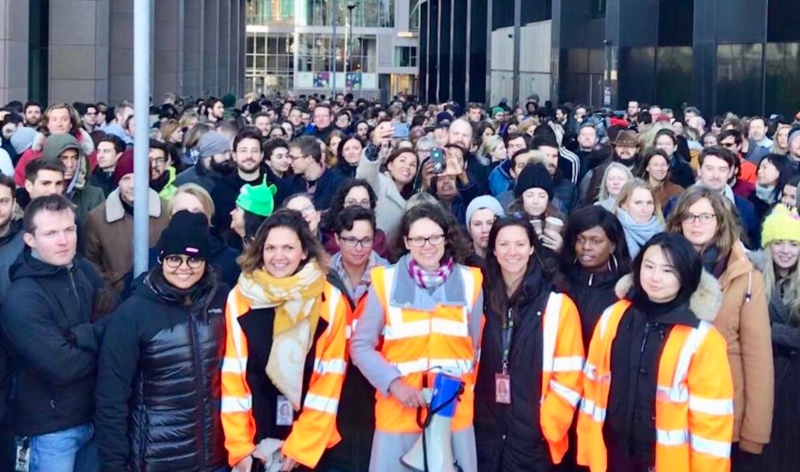 A group of women engineers organized a massive, worldwide walk-out today and has made five demands, including pay equality, a public transparency report on sexual harassment within the company, a company-wide policy on sexual harassment, and an empowered chief diversity officer. Read a statement from the organizers over at The Cut and follow the events at #GoogleWalkOut on social media. Be the first to comment on "OMG, happening now: The #GoogleWalkOut"